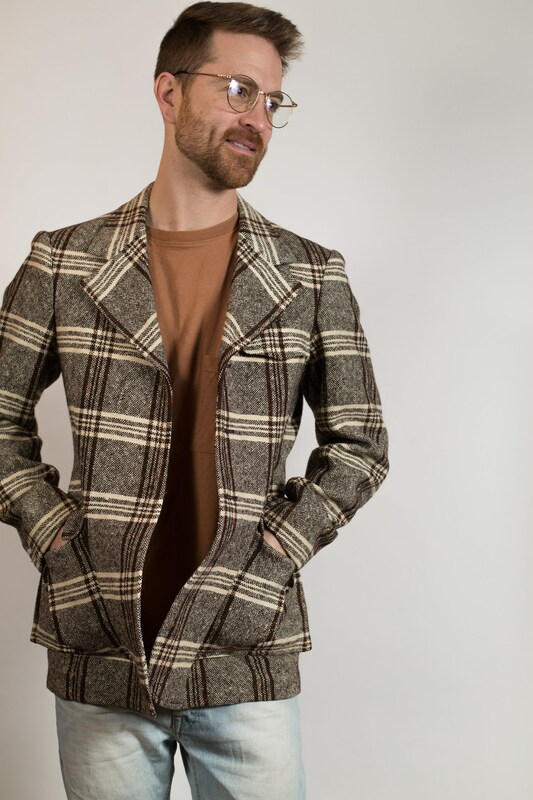 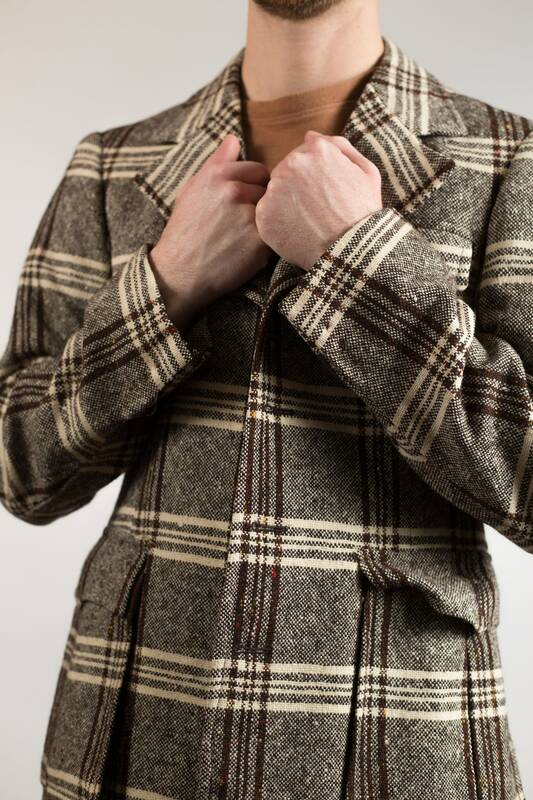 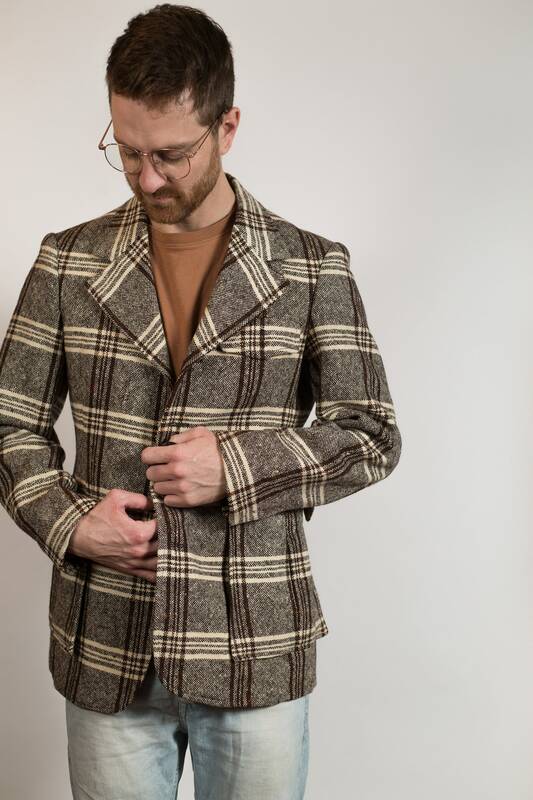 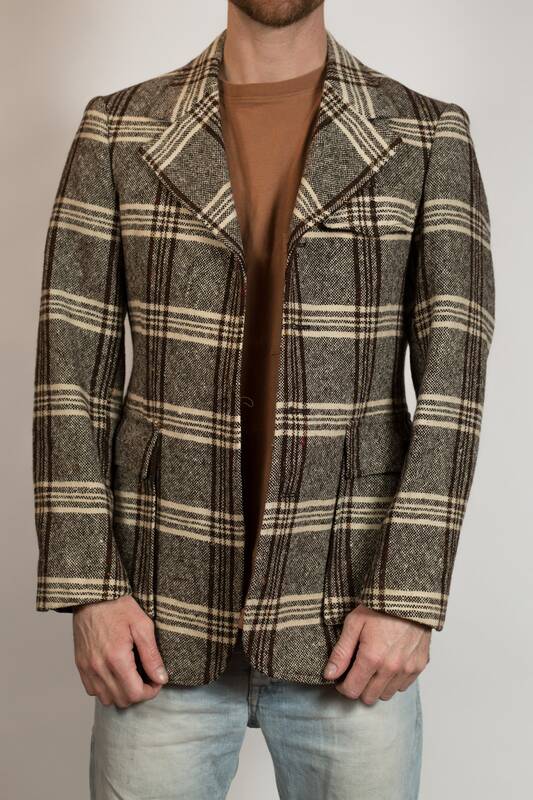 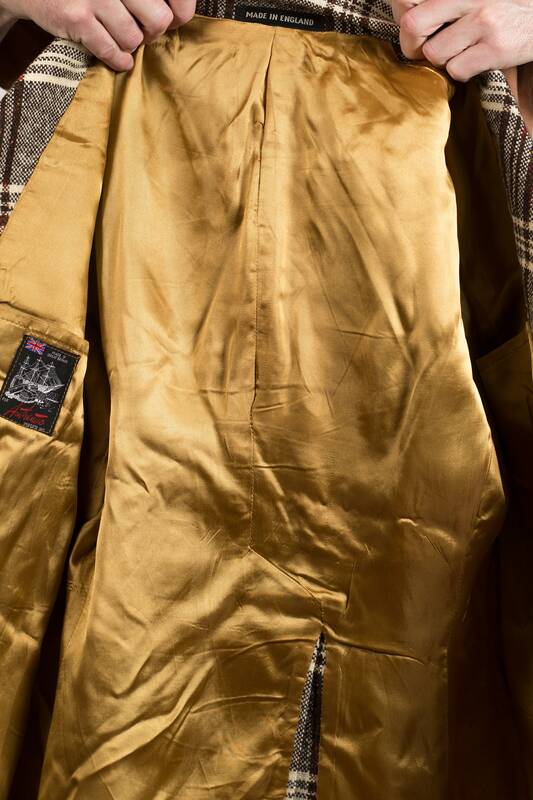 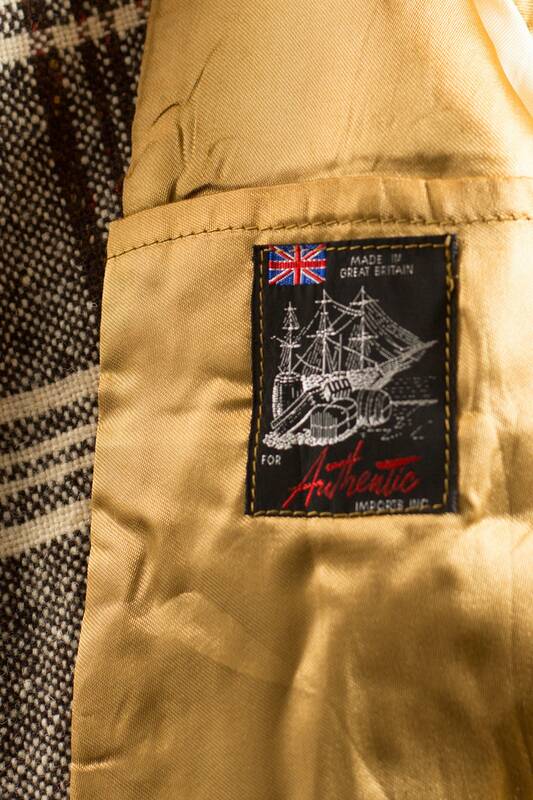 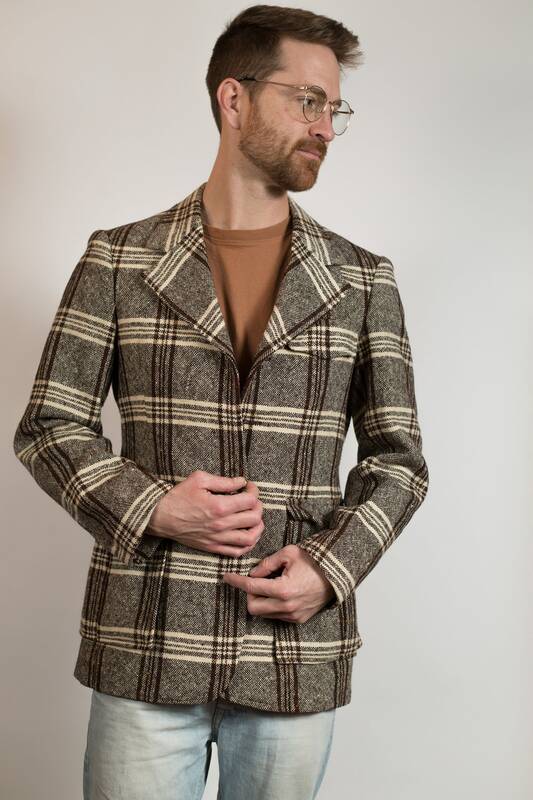 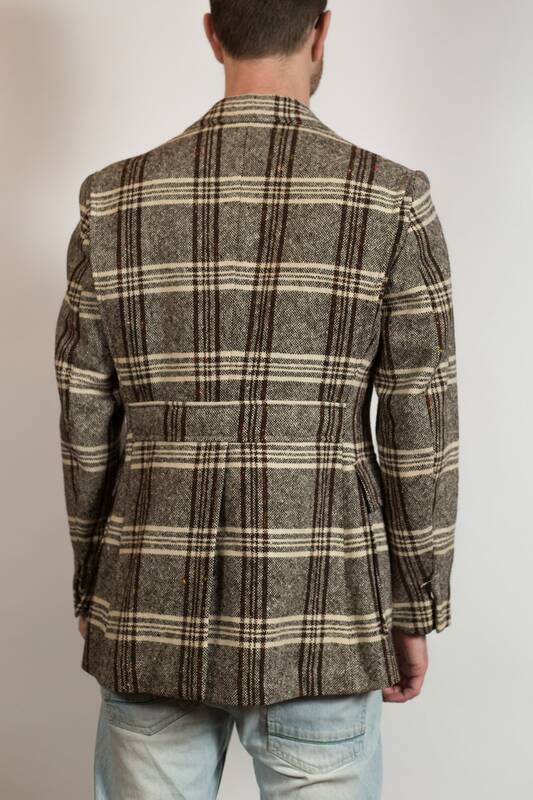 This is a classic vintage brown and cream coloured plaid men's sports coat. 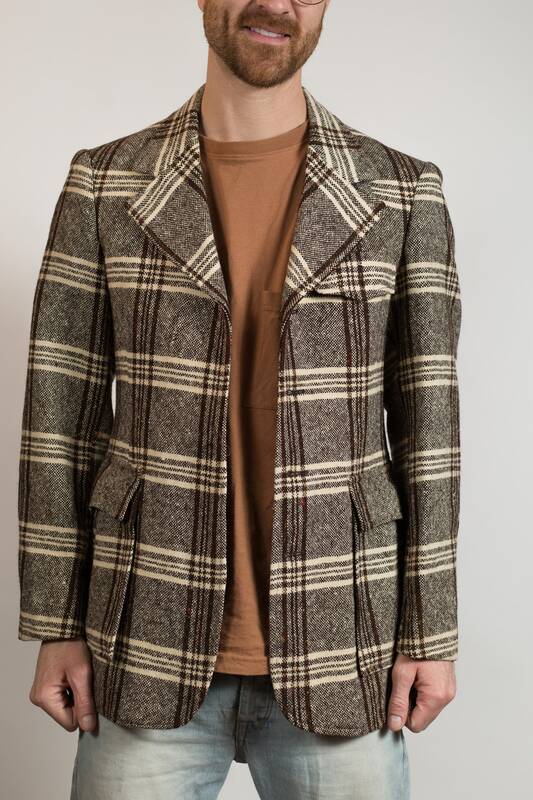 Can wear open for a casual look. 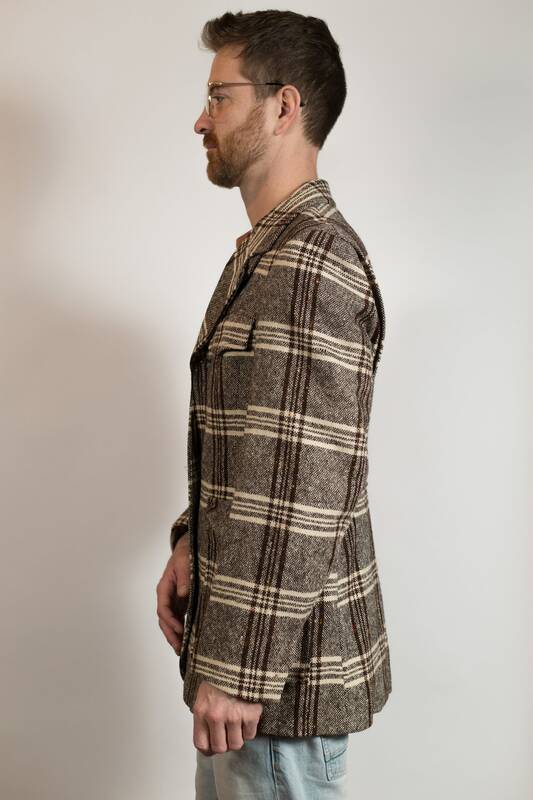 Length from shoulder to bottom of garment: 20"